El lugar. La tranquilidad de la zona. La ubicacion excelente. La atención es excelente, un lugar super recomendable al que esperamos poder volver. Localização, próxima a praia e atendimento dos proprietários. 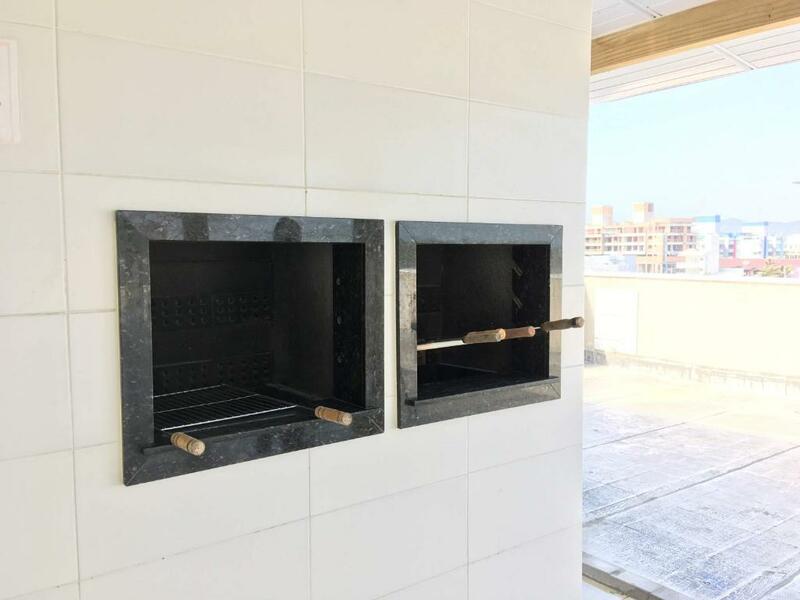 As camas eram confortáveis, o banho bom, apartamento bem.bonitinho, utilizamos a churrasqueira para fazer churrasco e o ar condicionado funcionando o que proporcionou ótimas noites de sono. La calidez del personal en la atención, es para destacar, muy agradecida con ellos. Fomos muito bem acolhidos, o local atende á tudo o que se precisa, apartamento mobiliado e equipado. Ótima limpeza. Cama, confortável, ar condicionado, cozinha equipada. Atendimento excelente dos meninos da recepção, proativos, educados e simpaticos, bem como, a limpeza das áreas de uso comum. Lugar de paz e silêncio bom para descansar após a praia ! Praticidade de ter geladeira fogão micro a minha disposição muito bom. Lock in a great price for Residencial Florida – rated 8.4 by recent guests! One of our best sellers in Bombinhas! Set approximately 1,000 feet from Mariscal Beach, Residencial Florida offers accommodations in Bombinhas. Free WiFi is featured in all rooms. This studio apartment features private bathroom facilities, a kitchenette, a flat-screen TV, air-conditioning and ironing facilities. Additionally, this apartment features a terrace providing city and sea views. Free private parking is also available on site with prior reservation. Monkey Hill is 1.2 mi from Residencial Florida. Retreat of the Priests Beach is 0.9 mi from the property. 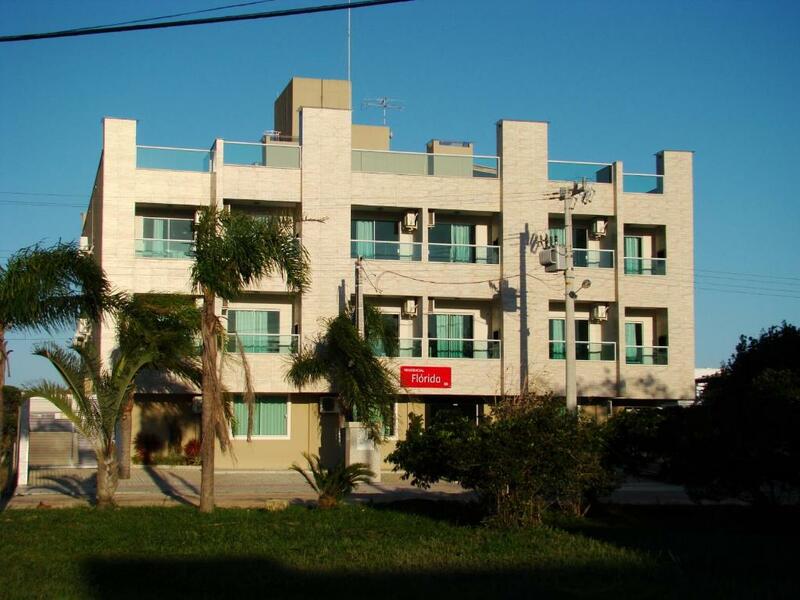 The nearest airport is Hercilio Luz Airport, 34 mi from Residencial Florida. When would you like to stay at Residencial Florida? This apartment has a fully-equipped kitchen, air conditioning and a flat-screen TV. House Rules Residencial Florida takes special requests – add in the next step! One child under 6 years is charged BRL 50 per night when using existing beds. Residencial Florida accepts these cards and reserves the right to temporarily hold an amount prior to arrival. Pets are allowed upon an extra fee. Residencial Florida does not offer bed linen or towels. Guests must bring their own. Please inform Residencial Florida of your expected arrival time in advance. You can use the Special Requests box when booking, or contact the property directly using the contact details in your confirmation.